Business View Magazine interviews Eric Townsend, Executive Director of Brentwood at Fore Ranch, as part of our Best practices in Health Care series. Brentwood at Fore Ranch is a senior living community complemented with assisted living services as well as specialty care services involved with the treating of diabetes and Alzheimer’s disease, while also provides neural rehabilitation services for those recovering from brain injury. Brentwood was developed through a Florida-based collaboration between Selah Management Services and William Karns Enterprises. Selah specializes in operations management, development, marketing and strategic planning services. William Karns is one of the state’s leading general contracting and land developing firms, whose expertise has been exacted over more than 50 years of luxurious estates, beachfront condominiums and yacht clubs, as well as other commercial and industrial sites. 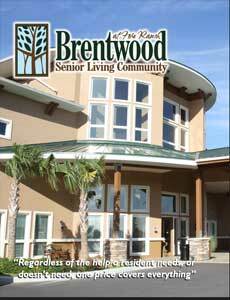 Karns’ development of the five-acre Brentwood site marked the company’s first foray into developing a senior living community specializing in assisted living and health services. Since the facility’s opening in Ocala, Karns has developed the Brentwood at Wellington and the Brentwood of St. Augustine. Eric Townsend, Fore Ranch’s executive director said the Ocala location benefits from Karns’ site-development and building skill, as well as the operational and managerial efficiencies of Selah. Interior elements include granite countertops, spacious closets, wall-to-wall carpeting and tile-floored bathrooms. Apartments include kitchenettes with built-in refrigerators, sink and cabinet space. On the tech side, each comes equipped with an emergency call system as well as smoke detectors, fire alarm and sprinkler system. Basic cable and utilities are also provided. Fore Ranch also features a spa, billiards room, library and country store stocked with greeting cards, drinks and other goods. The property grounds are enhanced by a walking trail, and Ocala itself offers venues for shopping, dining, arts and culture, including the nationally esteemed Appleton Museum of Art and Cultural Center. Fore Ranch residents can participate in special tours at Appleton, while getting a chance to take part in other activities that include guest speaker forums, parties and holiday celebrations. Not surprisingly, the Kentucky Derby is celebrated with the pomp and circumstance associated with any other leading seasonal festivity. The community sponsors workshops on diabetes and memory care, which benefit both residents and families. Fore Ranch provides a range of therapy services, well beyond the traditional offerings in physical therapy. Some have been specially designed to incorporate art, music, horticulture or even pets. The diversity enables connection with almost any interest a resident may have. Fore Ranch has also developed specialty care units uniquely catered for helping those afflicted with Alzheimer’s. Those residents benefit from services provided by personnel with customized training, as well as individualized activity/recreation directors who facilitate programs and activities designed with needs and limitations in mind. Diabetes patients get similarly specialized care and customized diet plans. Adult day care is another service Fore Ranch provides. In addition to offering a means of introducing the community’s assisted living environment to potential residents, the service has proven critical to helping working families tend to the needs of elderly or fragile loved ones. For families providing care for such individuals, Fore Ranch provides a safe and healthy place to bring a loved one for temporary relaxation. 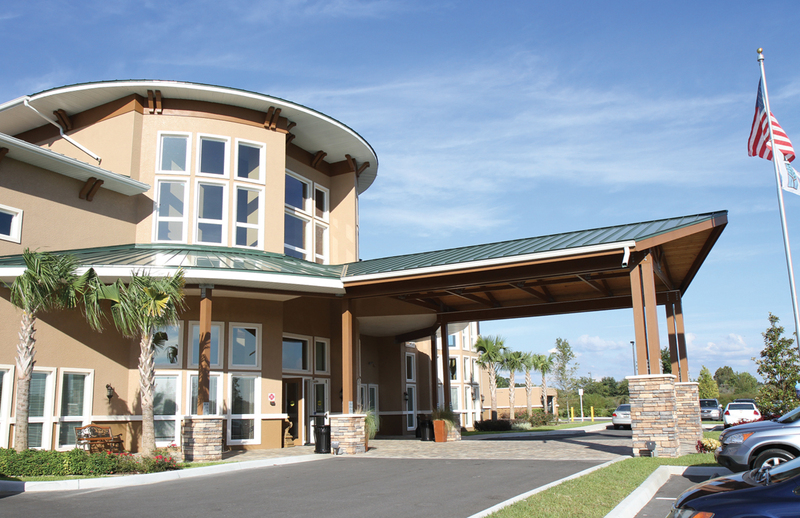 In addition to healthcare services that can be accessed from nearby West Marion Hospital, Brentwood at Fore Ranch has relationships with Ocala Geriatric and United Therapy Group, as well as skilled nursing facilities which include Timber Ridge, Avante and Palm Garden.